According to the CSIRO, Australia is currently know to have ant representatives of 1275 species. 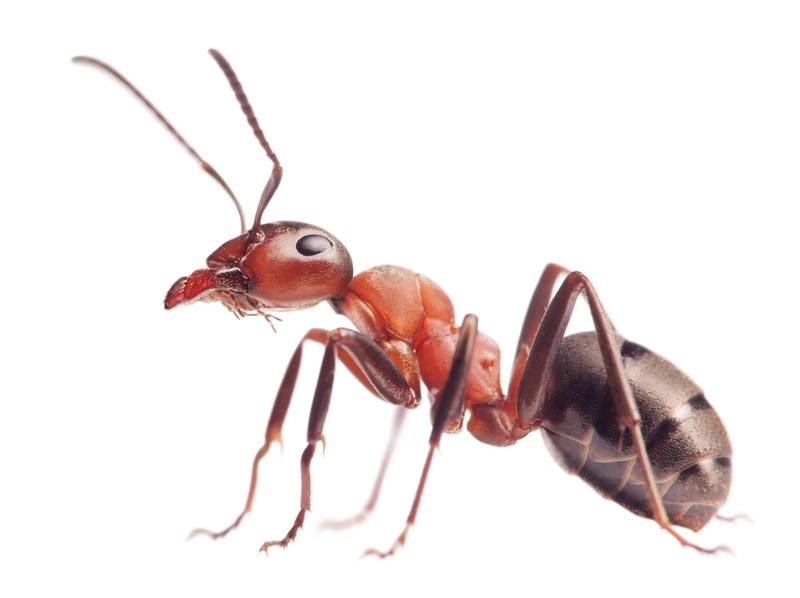 Ants are insects that belong to in the order Hymenoptera, along with bees, wasps and sawflies. Scientists believe ants evolved from wasps in the Cretaceous Period, about 110 million years ago. The earliest fossil ants have been found in North American amber, which has been dated at 94 million years old. For most people ants only become a problem when they enter buildings in search of food and water or when they build theirs nets in buildings or gardens. Ants can be attracted to a wide range of foods with different species having preferences for sugars, proteins, fats and oils. during extended dry periods they will also search for water. In many species once an individual has found a desirable food source, it will return to the nest and recruit nest members to help gather the food. This can result in large numbers of ants rapidly appearing around an item, sometimes with long trails of ants between the nest and the item of interest. There are numerous species of ants regarded as pests in Australia and can be one of the more difficult pests to control. They have a very structured caste system with each member of the caste responsible for a specific role in their society. Ants can live for long periods setting up nests and colonies. Most infestations become sever if not treated. They can enter your home in cracks and crevices, setting up colonies in areas such as wall cavities and ceiling voids.